This just keeps getting better. I am joined by now-legendary drummer Gene Hoglan for this next chapter. If you're into metal then I'm willing to bet that not only have you heard Gene play drums before but probably own a few albums that he is on. 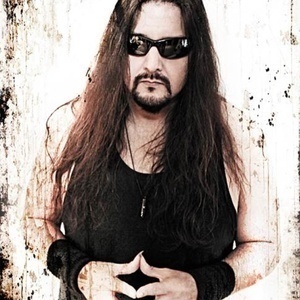 Gene has played with Dark Angel, Devin Townsend, Strapping Young Lad, Death, Fear Factory, Dethklok , now currently working with Testament and he was even a guest vocalist on Slayer's "Show No Mercy". He has appeared live with Opeth, Anthrax and Unearth under what can be considered "emergency circumstances." Nothing rattles this guy. Gene and I discuss his trip to NAMM, his earliest induction into the scene through his older sister, pulling off the interstate to pick up music so he could learn it on the way to the gig, his tremendous effort committed to weight loss, health and avoiding diabetes, Death and Chuck Schuldiner and air drumming on his bed to become an open-handed hi-hat leftie because of where he had his record player as a kid. Most importantly, Gene has his new SELF-FUNDED drumming dvd "The Atomic Clock Strikes Two" coming out on Feb 3rd. Please don't steal it. Instead go to his website and order it! Dark Angel: "Death Is Certain; Life Is Not"
Testament: "Brotherhood Of The Snake"